Saskatchewan’s highest court has reserved its decision on whether a young man who shot and killed four people and injured seven others in a northern community should be sentenced as a youth or an adult. Aaron Fox appeared before the Court of Appeal on Thursday to argue that the shooter, now 21, faced cognitive and mental issues that affected his maturity and level of blame. 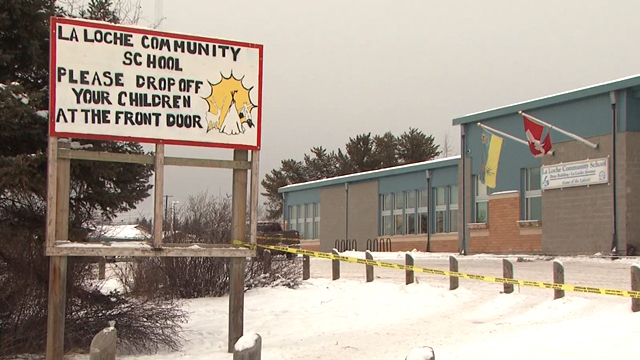 “One of the themes throughout this whole case, from the very beginning, is you’re talking about a youth who was identified as needing help already in Grade 1,” Fox said after the hearing. Crown prosecutor Beverly Klatt argued the sentencing judge considered evidence about the shooter’s mental limitations, but concluded his level of planning showed sophistication. “Everything he did leading up to the murders and what he did on that day were not the actions of someone who was immature or vulnerable,” Klatt said Thursday outside the courthouse. Fox said the shooter did not have an escape plan nor did he attempt to disguise what he was about to do. He first posted online about his plan before driving to the high school. Fox argued the judge focused on the gravity of the crimes, but did not consider the many problems the shooter faced. Court heard he has a low IQ and fetal alcohol spectrum disorder, and has struggled with depression. At the time of the shooting he was repeating Grade 10 for a third time. Fox referred to the shooter’s school journal where he listed his dislikes as school, students and teachers and, in another section, answered a question from an assignment by bringing up a murder plan. “I read all of these words and they cry out for somebody to sit down and try and figure out what’s going on in this kid’s world,” Fox told the Appeal Court. Fox said his client is serving his sentence at a maximum-security facility in British Columbia and is not receiving the psychological help he needs. The shooter, mostly looking straight ahead and sitting with his hands folded, appeared in court via video. A publication ban ordered because of the appeal prevents identifying him. Robert St. Pierre, mayor of La Loche, drove to Regina to attend the hearing and said he wants to see the young man stay sentenced as an adult. St. Pierre said the appeal retraumatizes victims who are still living with physical and emotional injuries.